So much of our life is lived online. We love to share and connect. But in a world where everyone is all too happy to let others peek inside their daily lives, how do you protect the information that can cause harm? How do you protect your family on the internet while still giving children the room to express themselves? You can be online and still have internet and computer security. Below are eight tips to ease your mind, keep your family safe, and block unwanted content. As technology continues to seep into our lives, we need to remember it can impact children and adults in different ways. For optimal internet security, we suggest starting with the tips below, and tailor them to best fit your family’s needs. One of the simplest ways to protect your identity and increase internet safety begins with realistic expectations. This means discussing with your family what to share, why internet safety is important, and what to do if there is a problem. Be open and honest. Computer security is important. Set up a secure network in your home. Make sure your Wi-Fi passwords, and the passwords on your family tablets, phones, and computers aren’t easy to crack. It’s common sense not to share your social security number on Facebook, but what about your address? Be cautious about what you share, especially in photos. Don’t post your address in the photo background. Be cautious with vacation postings to avoid break ins. Caution your children to not share information that could put them at emotional and/or physical risk. Pubic Wi-Fi are typically not secure, which makes them vulnerable to hackers and cybercriminals. 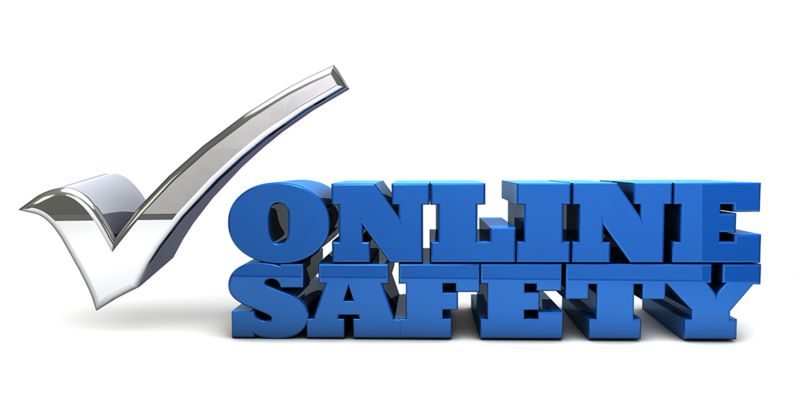 Think twice before ordering online or providing sensitive information over a public network. Hold off until you are home and on a secure computer network. Families should establish rules about what to post. Agree to a process for monitoring your children’s accounts. Discuss the dangers with your children and their friends. It’s important to set boundaries and expectations to prevent problems in the future. It may sound daunting, but there are ways for tech savvy parents to monitor teens. There are countless ways we can control children’s internet content and excellent tools for taking control and managing your family’s use of electronics to prevent adult content, scams, and even identity theft prevention. With the right tool and using the security settings on devices and browsers, you can protect your family from objectionable content. You and your children need to be aware of email and social media scams. Cybercriminals are constantly updating their attacks. Talk to your kids about the importance of not clicking on links. Caution them to be wary of fake friend requests, and not to share personal information online. There are plenty of stories about families being emotionally tormented online, especially children and teens. The U.S. government has created Stopbullying.gov to address bullying in all forms. You’ll find useful cyberbullying prevention tips, state laws, and resources. Talk to your children about it and how to handle cyberbullying. Watch for warning signs like problems sleeping, mood changes, or slipping grades. Technology and the connected world are here. You can’t hide from the world wide web and social media, but you can protect your family on the internet. Work with your family on a plan that protects them and gives you peace of mind. It only takes a few simple steps to protect your family on the internet without sacrificing self-expression. If you’re dealing with tech problems in the home, we can help! Fill out the form to the right or give us a call today!